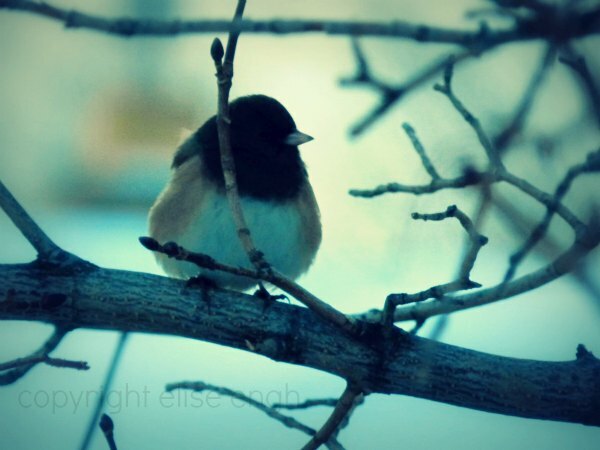 In spite of the cold weather, I had lots of these little birds hanging out in my backyard in the afternoons. I was able to get some shots of one sitting on a branch. I love it! I love birds! I have a few bird projects to share this week, so I'm officially naming this week, BIRD WEEK for me. I hope you enjoy! A lovely shot. What kind is it? Whoo hoo! I've been into birds lately too, so I'm looking forward to more bird posts. Great shot of this one! I spent a lot of time bird watching this weekend too while at my in-laws house and this is a bird I have been trying to identify. Please let me know it you know what time of bird this is. I will look forward to your Bird Week as a new follower. Love these little birds! Nice pic! OMG! Sure i´ll love your bird week! !